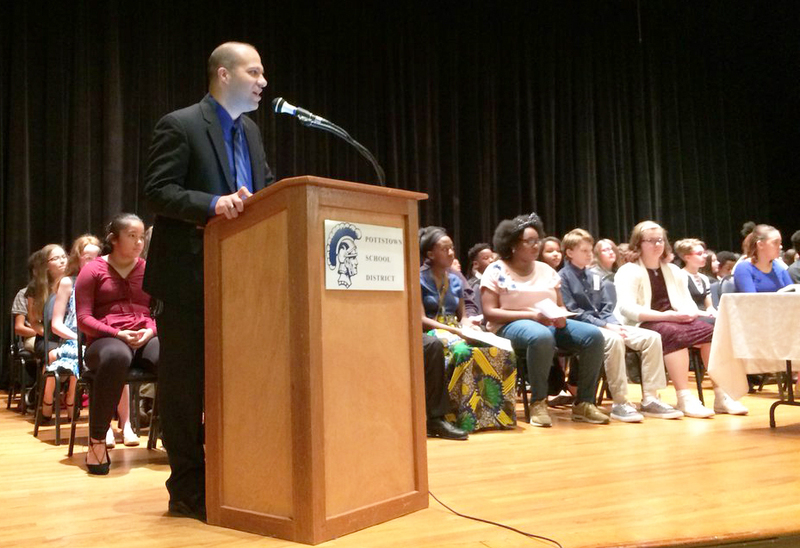 53 students were inducted into the Junior National Honor Society recently at Pottstown Middle School. 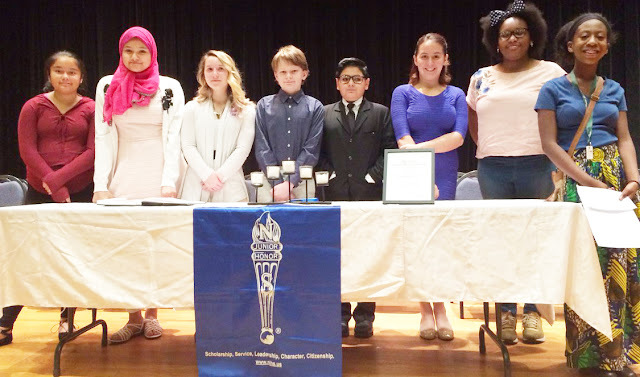 Pottstown Middle School recognized outstanding student achievement at the Jr. National Honor Society candle lighting ceremony held in the school auditorium. Fifty Three new members were inducted as parents and friends looked on. Superintendent Stephen Rodriguez addresses the inductees. Students Michelle Castillo and Rylie Gaspar gave the welcome and induction. 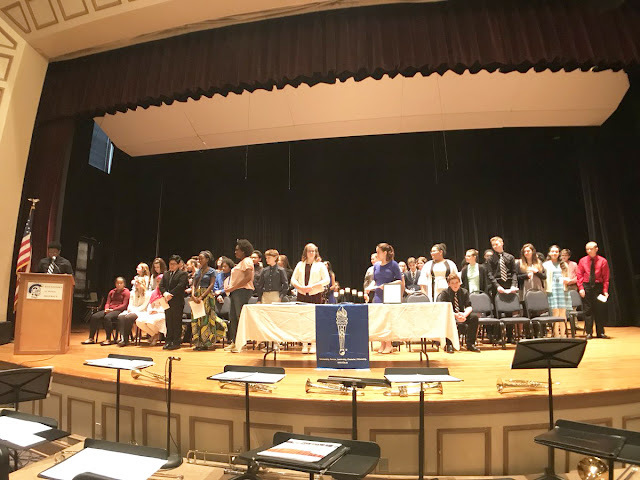 During the ceremony, the four pillars of National Honor Society were described by students: Scholarship,Service, Character, and Leadership as candles were lit. In his remarks Superintendent Mr. Stephen Rodriguez congratulated the students on their academic success and reminded them to be equally successful in social and emotional preparedness and development. The Middle School Jazz Band under the direction of Katie German provided entertainment. Inductees signed the roll book as sponsor Diane Halpine announced their names. Student Xavier Francis Williams led the group in the Honor Society Pledge. A closing poem was read by student Gabriel Roseo.